Businesses today are stepping up their game when it comes to sustainability, often driven by the Sustainable Development Goals (SDGs). The United Nations’ 17 SDGs were set after three years of negotiations between 193 countries and are more ambitious than anything that has come before them. Pioneering organizations who adapt their practices in line with the SDGs are poised to unlock innovations worth trillions of dollars and those who are complacent risk falling behind. These trends are already impacting business big and small. We hope that by raising awareness of the potential for innovation in, and power of strategic sustainable development, we inspire organizations and individuals to seize these opportunities. 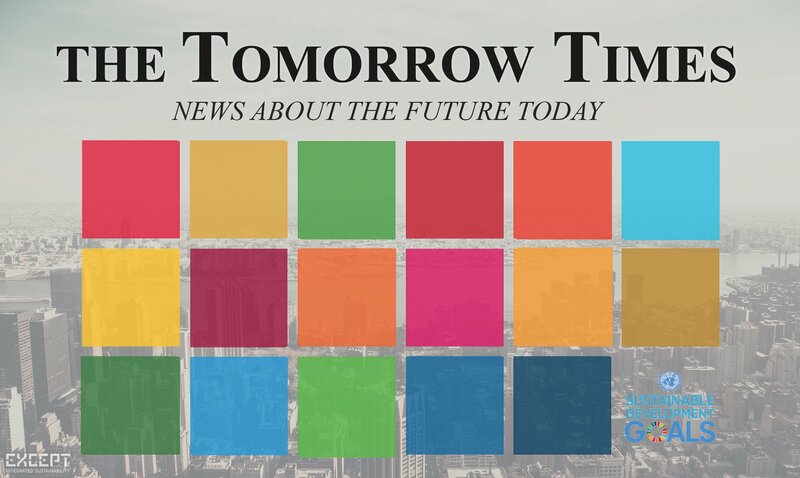 Follow these periodical monthly updates of tomorrow’s sustainability news today by subscribing to the Tomorrow Times. How do the SDGs relate to business? Business are stepping up when it comes to the SDGs. Those that manage to do so may be rewarded with prime position in future markets. This seems like common knowledge amongst blue chip companies, as over 4/5ths have disclosed their commitment to reach these goals. No wonder, according to a flagship report from the Business Commission, achieving the SDGs could create 380 million jobs and help unlock at least $12 trillion in opportunities for business by 2030 alone. “The four main market opportunities are in food and agriculture, cities, energy and materials, and health and well-being. They represent around 60% of the economic opportunity," states the Business Commission report. Each year the UN Global Compact draws up a list of SDG Pioneers who turn global goals into local business. You can see the last year's lists here. In 2019, the focus of the search is on young professionals aged 35 and under who are contributing to the SDGs through a principles-based approach. By recognising the effort of individuals, others become inspired to take action in a bottom-up model. The effects can be disastrous for organizations who fall short of the mark. The WWF established Gold Standard certification body – who strives to catalyse more ambitious action to achieve the Global Goals – identifies some common pitfalls. Think you know all that there is about the SDGs now? Perhaps you’d like to test your knowledge. 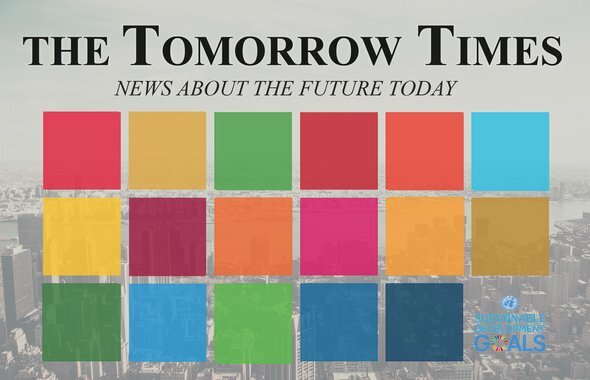 This short quiz by 17goals.org takes you on a tour of the Sustainable Development Goals. The organization provides a number of free tools and educational resources to equip everyone with the inspiration to take action. Europe bans single-use plastic. In an environmentally historic vote, the European Parliament has moved to ban single-use plastic products across Europe. This ban outlaws plastic bags, straws, plates, cups, drink stirrers and cotton swabs. The 1st out of the 7 trends for 2019 identified by the Forum for the Future is indeed the plastic ‘kickback’. Offshore windfarm development costs continue to fall. The cost of offshore wind has tumbled as turbine designs have got better and bigger, with each machine providing 30 times the output of the first ones deployed 18 years ago. Crowdfunding the Sustainable Development Goals. A new study from the University of Oxford’s Business School says crowdfunding may be a viable strategy for financing the SDGs. Largest Swiss bank’s vision to fund the SDGs. UBS wants to make it easier for investors to tackle social and environmental problems. How? Matching investor values and interests with specific investments. The goal is to get more private capital moving toward the SDGs. After the World Economic Forum 2019, the bank has published a white paper outlining its vision. Watch UBS’s video "Why invest sustainably?". World Bank president sudden resignation. Jim Yong Kim made the announcement on January 7th, surprising most observers for the fact that he is resigning from his post with three years left in his second term. Read, one of his recent speeches, at Stanford University. Google AI predicts wind energy output. Google claims that DeepMind’s Artificial Intelligence system has boosted its wind farms energy by roughly 20%. “Our model recommends how to make optimal hourly delivery commitments to the power grid a full day in advance”. New wave energy technology. The University of Edinburgh says that their device could convert wave power into low-cost electricity for thousands of households; designed "to be incorporated into existing ocean energy systems". Taking BREEAM to the next level. “It is important to build on and complement BREEAM wherever possible to continue to push the boundaries of sustainable design” says a senior sustainability consultant at Sweco . Catalytic Buildings. Last month, Except also launched the Catalytic Buildings white paper provoking the construction industry to raise the bar in terms of sustainability. “In sustainable urban development, future-proof solutions are the ones that synthesize architecture and urban planning with innovation and systems thinking,” says Tom Bosschaert. “Catalytic Buildings are the embodiment of this approach, and present us an opportunity to create an entire new benchmark for high-performance in sustainable construction”. Utrecht University has gone public with its sustainability ambitions. The university has pledged to transition its buildings to become healthy, energy-generating, circular and CO2 neutral by 2030. Drones VS Rats. Is system thinking applied? Drones are used to eradicate invasive rats by dropping poison in the Galapagos. Drones save time and labour. Doubts have been raised; the poison could be harmful to other endemic species - i.e. video. Solutions can cause unexpected implications, simple questions often require reflective thinking. This reminds us of the systems thinking cautionary tale of cats in Borneo. Except SiD framework can be applied to tackle complex issues. Absurd 300 Disney-style castles lie empty in £151m Turkish ghost town. In this bird's eye video you can see footage of an eerie abandoned urban development of mini castles in near Mudurnu has shone a light on the troubles facing the country’s economy. Have you seen a news item suited for 'The Tomorrow Times'? Let us know and we'll consider including it in the next edition.